Pizza is a staple for Halloween. I remember as a kid, having to order our pizza for Halloween dinner at 4 in the afternoon so that we could have it before we went out trick-or-treating. Pizza is still a staple in my home as an adult for Halloween, and Anthony absolutely loves that this is a tradition as well. 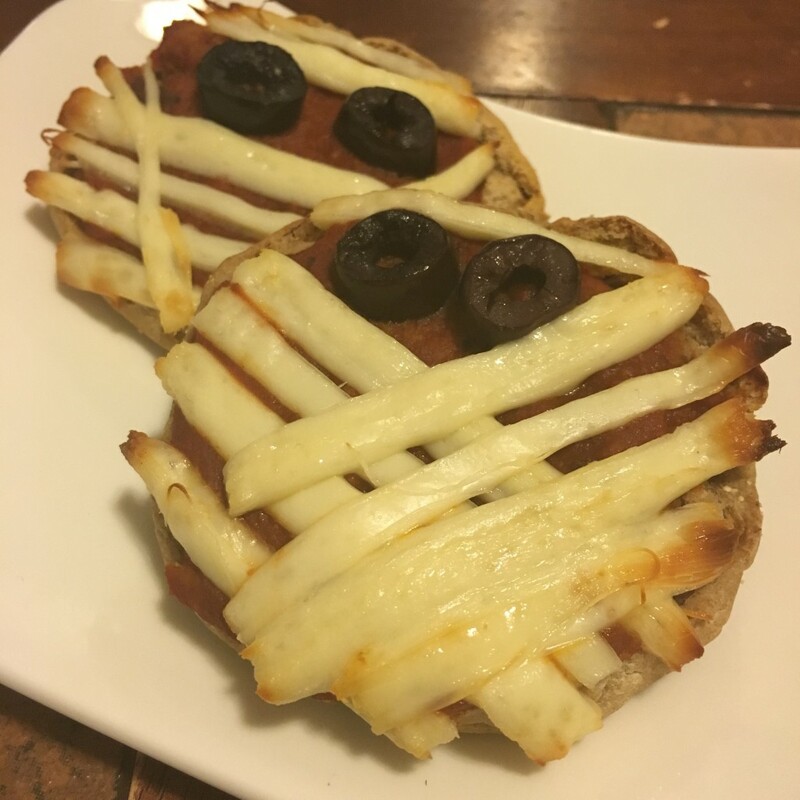 This recipe is basically the same as my recipe for 15-Minute English Muffin Pizzas, the only difference is that I used string cheese to make these pizzas look "spooky" for Halloween. Even if I'm not at school, I like to make Halloween themed food the entire week of Halloween. For more Halloween themed dinner ideas, check out my October school menu here.